Welcome to Brooklyn Clay Industries! Whether you’re looking to take classes or buy art, Brooklyn Clay Industries offers the highest quality products and services. working space on a membership basis to displaced ceramic and sculpture artists. We are offering an array of paid (but not limited to) ceramics classes and workshops on a daily basis by member and guest artist and by Reuben King and Noel Copeland. 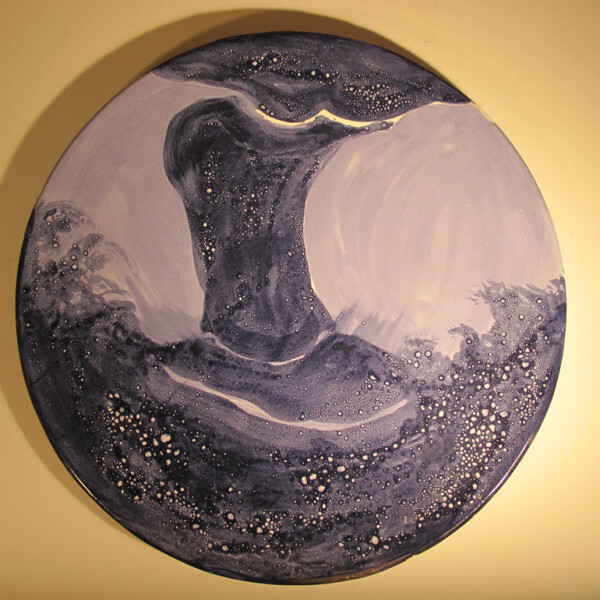 Pottery painting events, kiln firings and repairs, pottery restoration, a weekly date and open studio evening and other services, including limited affordable ceramic supplies are also offered. Brooklyn Clay Industries is a place where people of all ages and abilities are encouraged to develop their full creative potential through ceramics and its many techniques and applications. Artists and interns staff the studio/gallery. Master artist educators lead all structured activities. 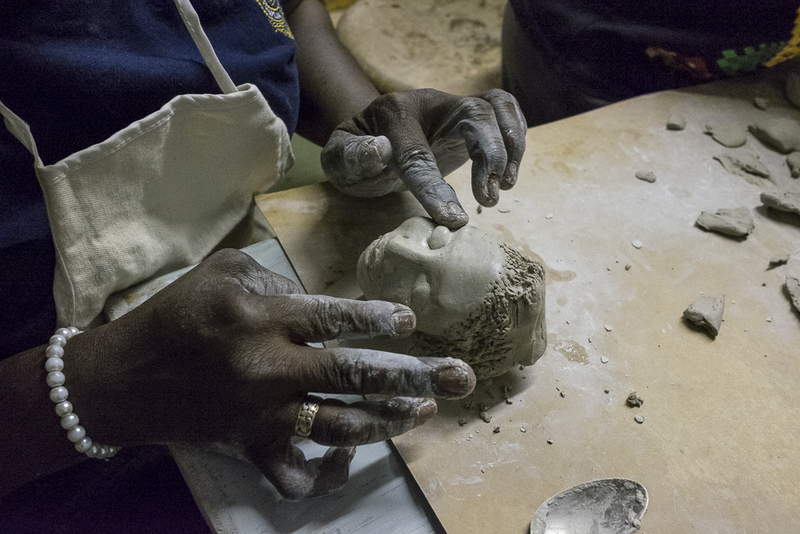 Brooklyn Clay offers an art experience to people of all ages and abilities, that will increase awareness of the arts; create an audience for the arts; which cannot be duplicated due to its holistic approach to developing artist and students simultaneously. The studio accommodates six member artists, whom are able to privately store and lock their personal effects. The studio is a fully equipped space with all the necessary tools, equipment and supplies to creatively learn and nurture their artistic abilities. Our art gallery works three fold. It showcases original work and reproductions created by up-and-coming artist, a venue for our members to show and sell their specially selected works, and can be rented short term for photo shoots and presentations. Our facility also houses a reference and instructional library that contains high quality books/magazines about art, artists, their lives and work, mostly clay related. 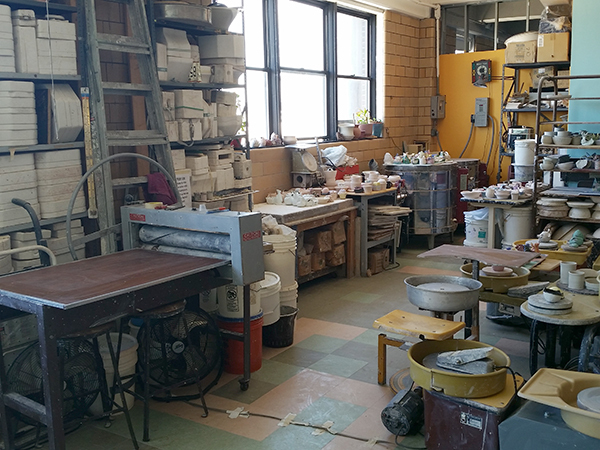 Our Brooklyn Clay Supply Shop sells affordable new and used high-quality clay and sculpture supplies through display and digital catalog. The mission of Brooklyn Clay industries is to encourage people of all ages to develop their full creative potential mostly through pottery, ceramics and sculpture. Brooklyn Clay strives, to create a unique environment in which people with varying abilities, and experience can feel free to imagine, learn, create, and welcome a variety of art concepts into their lives, all under one roof. We are raising the profile of the ceramic arts, supporting the development of ceramic artists, bringing the joy of the arts to our most underserved communities. We provide a professional work environment that is rewarding, creative, and respectful of ideas and individuals. Brooklyn Clay is dedicated to providing an affordable, fully equipped and functioning artist studio and gallery that can be shared and appreciated by all. 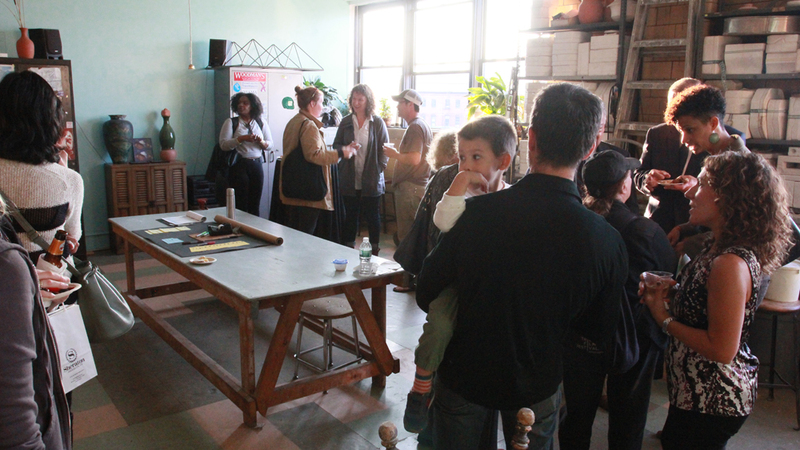 Brooklyn Clay Industries Associate Program is a communal studio used in part by a few individuals on a non-juried basis. By making low cost studio space available to individuals in the community. The program serves an important need within the community; promotes the artistic, technical and skill development of these individuals, providing a unique learning community. The communal nature of the program provides an environment that accommodates artists at many levels of commitment and accomplishment, in which all benefit from a diversity of experience and expertise. Many Associates are serious Clay Studio students who have committed themselves to expanding their skills and developing their own artistic voices, while others maybe professional artists who hold Bachelor or/and Master Degrees in Fine Arts and are in need of affordable studio space. 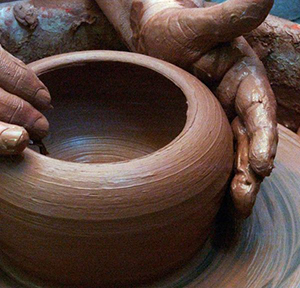 The program reflects an aesthetic range of artists – Potters working side by side with Sculptors. The monthly rent is currently $160.00 per month with unlimited access during open studio hours or $15.00 an hour during open studio. 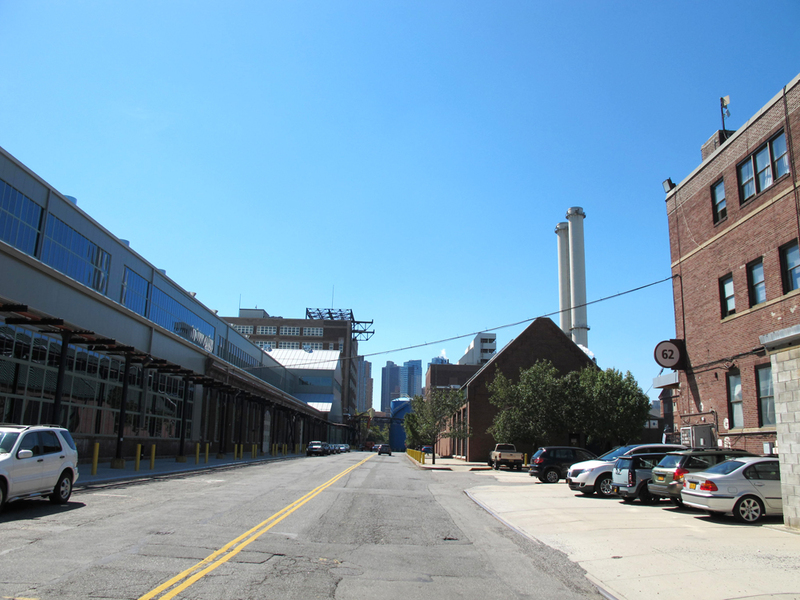 Brooklyn Clay is located in the historic Brooklyn Navy Yard (BNY) which is anchored between Williamsburg, Fort Green, Clinton Hill, Vinegar Hill and DUMBO…..ALL current and upcoming ‘art capitals” of New York City. The B.N.Y. is undergoing a major revitalization, including a state of the art design facility being renovated across the street and like the historic site where it’s located, Brooklyn Clay Industries is ready to move with the times and offer artist the same liberty that the B.N.Y. 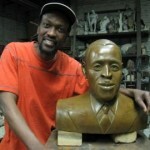 strives to offer all its tenants, “room for small entrepreneurs to start and grow at the right price.” Ceramic artist Reuben King, who has 30 years of experience as a working artist and educator, has maintained a personal pottery and ceramic studio at the historic Brooklyn Navy Yard for a decade and a half, founded this magnificent studio. We provide a number of electric potter’s wheels, slab roller, hand extruder, de-airing pug mill, clay mixer, glaze and slip mixing equipment etc. Firing services are offered to non-members who are interested in renting a kiln or by the shelf. 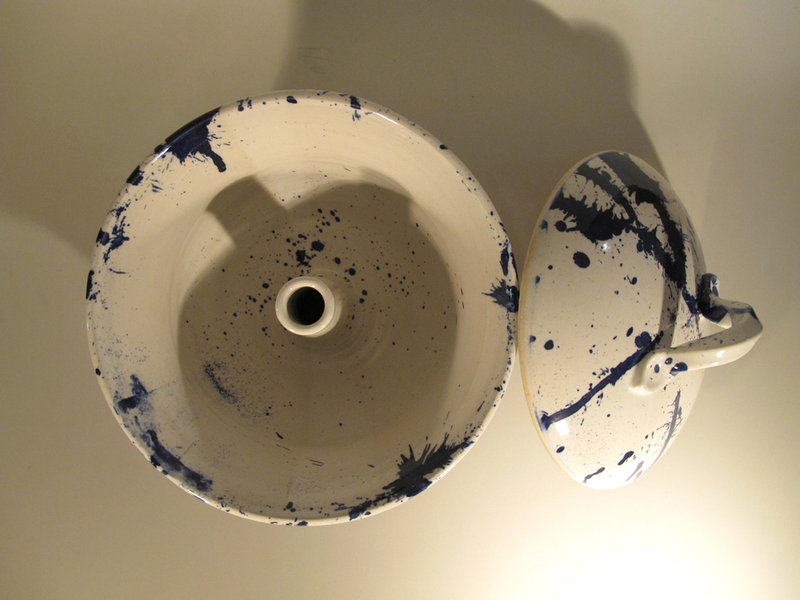 We offer a number of sizes of kilns and can accommodate firings from cone 018 to cone 10. Brooklyn Clay offers a limited number of work exchange assistant-ship opportunities in all areas of operation. Students interested in applying should contact the Director at brooklynclayind@yahoo.com or call 301-395-0143 for more information. Please send resume and/or your areas of work interest. Become an active member in Brooklyn Clay Industries’ community by participating in an internship. The Intern Program is geared towards ceramic enthusiasts who want to further their experience and be part of a supportive educational community. Interns perform a wide variety of functions throughout the organization and can be required to do physical labor and heavy lifting. Interns work 5 hours per week, one day a week during the Fall, Winter, Spring or Summer term. In exchange for this work, participants will receive a free class, access to open studio hours, and other class benefits such as shelf space, glazes and firings. Teaching Ceramic Artists interested in joining our team at Brooklyn Clay Industries, please send us some information about you, your experience and education.